Fisher Island Florida is one of the wealthiest zip codes in the county. Its total lack of a traditional means of vehicular access lends it a highly unusual degree of privacy. You can easily spot the collection of Fisher Island condos since the majority of them stand near the edges of the private island. Marina Village, Palazzo del Mare and Harborview are among the names comprising Fisher Island condos. Regardless of the building, all units face either the Atlantic Ocean or Biscayne Bay. Marina Village for example offers one or two bedroom residences with generous square footage while the Palazzo del Mare has larger units with no less than three bedrooms. 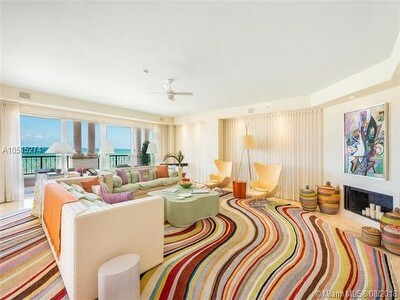 There is a huge variety of floor plans to choose from among the Fisher Island condos as you’ll quickly notice. The Fisher Island ferry the easiest (and only) means of getting to Miami Beach. However, there is a lot to do without having to actually leave Fisher Island. There is the Fisher Island Marina as well as a large golf course, tennis courts, a world class spa and more. Collectively, there is a smorgasbord of activities and sights to explore.